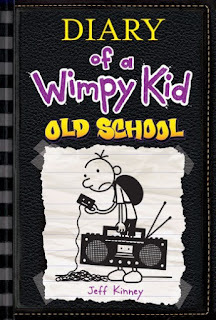 Greg (aka the Wimpy Kid) Heffley’s diary entries promise more side-splitting stories in the tenth book in the Diary of a Wimpy Kid series, Old School. It’s not enough that his pet pig sits at the table to eat now Grandpa has moved in and taken over Greg’s room. The oldies talk continuously about the good old days, before electronic technology took over the art of conversation and communication. Greg finds it hard to imagine life without his electronics. Things get serious when his mum starts a petition for a park clean-up on an electronic-free weekend. Her goal is to get the town’s people together on a community project and resurrect some interest between family members, friends and neighbours. The project gets consent. The park area has been so neglected that no one knows what to do or where to start. That’s where the Girl Scouts take control. When Greg accidentally drops the lid of the toothpaste down the sink then tries to retrieve it in his usual complex way, the chaotic, hilarious sequence of events kept me laughing. The best scene is when grandpa tries to drive the car after having lost his license. The countless entertaining diary entries about school days, meetings with friends and failed experiences (a common occurrence) in between each major catastrophe kept me turning the pages. Greg’s entries about his class trip to Hardscrabble Farms for a week reveal his attachment to baby wipes and his ability to improvise. He discovers the truth about the mysterious and haunting tale of Silas Scratch that has been the source of many made up theories and imaginings for years. Were the good old days better that the present ones? It’s a hard puzzle for Greg to solve. 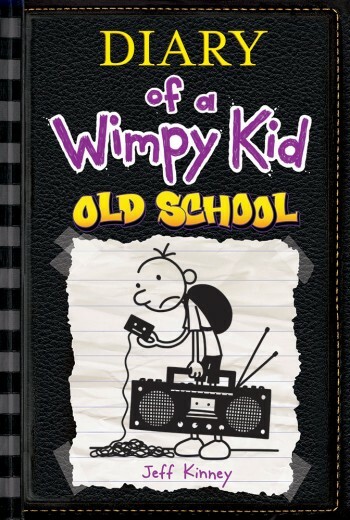 Reading his diary won’t give you the answer, but there will be lots of laughing out loud at the unbelievable thoughts that pass through the Wimpy Kid’s mind. I found many underlying truths and lots of messages within the diary entries that reflect the many differences between the generations. I loved it, and imagine that fans are already gasping for the next instalment.